I remember when I was a kid, I would go to the library and max out their borrowing limit. I would come home with a big bundle of books and read and read and read. Back then books sucked me in and didn’t let me go. Books like Aliens Ate My Homework, the Enchanted Forest Chronicles, Frank Baum’s Oz books, I devoured them all in big starving gulps, rushing from one page to the next. I haven’t been there with a book in a while. 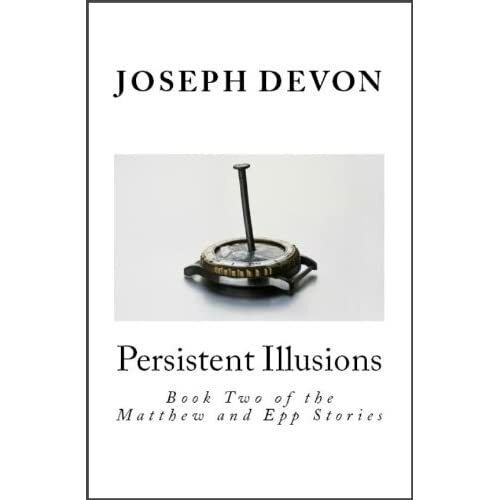 But Joseph Devon’s book Persistent Illusions took me right back to that to that place where the story took over my mind and wouldn’t let go. I should start by telling you that Persistent Illusions is a sequel to another book called Probability Angels that I reviewed several months back. Probability Angels and Persistent Illusions take place in the world of the Testers, a group of human souls who have been chosen to stay on the earth and “push” living humans to live beyond their potential. That’s the setup in the nutshell. But truly there’s more…so much more. The world of the testers is utterly fascinating to me. It is a place where mathematical equations can be conceptualized into objects like cameras and cell phones, a world where top of Mount Everest is covered with the sleeping souls of Testers, and oh yeah…I almost forgot, there’s zombies too. Sort of. Beyond the magic of the world itself, Persistent Illusions shines out as a sequel. Many series of books I’ve read adhere to the mantra that “status quo is god” meaning that characters are largely the same from one book to another aside from a few superficial changes. Not so with Persistent Illusions. The near-godlike Epp from the first book has been reduced to a brooding waste of a man, obsessed with what he once was and can no longer be. Conversely Kyo, the totally awesome Japanese Samurai deals with similar changes in a much more positive way. In a smaller sense, Matthew, Mary, and even the villain Hector have all obviously been moved and changed to some degree by the events of the first book. This kind of change in character give the book a striking feeling of authenticity. In the face of adversity the perfect is revealed to be imperfect, and the imperfect is strengthened, just as it is in real life. I couldn’t write an honest review if I didn’t tell you that this is not a perfect book. I had a few issues with the opening section where the author used a kind of sliding perspective to introduce the major characters all at once without breaking scene, a sort of literary equivalent to opening a movie with a long steadycam shot. Theoretically I quite like the idea, but in practice I found it to be somewhat confusing each time the focus shifted to another character without warning. There are also a number of places where I felt that fairly clear dialogue was overexplained. But it’s worth noting that these hiccups didn’t slow me down at all. Somewhere in the back of my mind Ethelberth the inner editor was whining, but I was too busy enjoying myself to notice much. Bottom line? You need to buy this book. First, because it’s awesome and fun, and it sucked me in like no other book has in a while. But second, and possibly more importantly to my mind, you should buy this book because it stands for everything I love about indie publishing. It’s a fantastic story that doesn’t fit into any of the tiny little holes the publishing industry has created and called “genres”. To me, Joseph Devon is the apotheosis of the indepented author, a man with nothing more than his wits and a website, trying to prove that there is nothing more important to a book’s success than a great story. I hope that you’ll join me in helping to prove him right. Persistent Illusions is available for Kindle and as a physical book from Amazon.com. 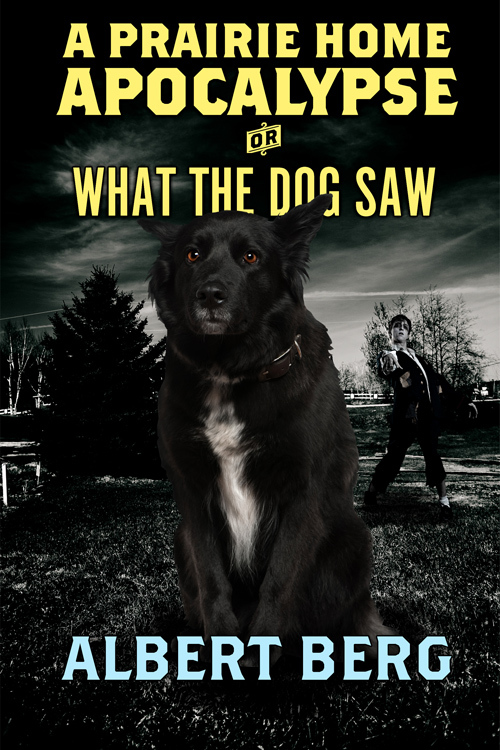 Other formats can be purchased from Smashwords. And if you truly can’t afford to buy it from those places (believe me I’ve been there) both Probability Angels and Persistent Illusions are available for free download from Joseph Devon’s website at josephdevon.com. Seriously people, you’ve got no excuse not to check this out.